It all began with a vision to set a new benchmark in the world of education. And now, an annual count of 12,000+ students and 100+ academic programmes later, it is safe to say that Acharya is right there in the top bracket, globally, when it comes to the quality of education on offer and the possibilities that the young achievers here are presented with. Spread across 120 acres of pristine land in Bengaluru India's 'technology hub' and located only a few minutes’ drive from top notch multinational companies and Indian corporates, the Acharya campus is a magnificent sight to begin with. With its student-centric design and innovative blend of modern and traditional styles of architecture, the campus is a perfect setting for the students to let their ideas fly and get closer to realizing their dreams. 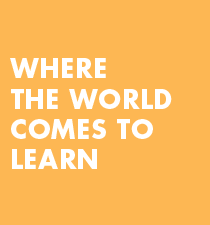 Here the emphasis is on experiential and collaborative learning and our students learn the ways of the world directly from each other, with the campus being home to students from no less than 75 countries. "Acharya Institutes, Committed to the cause of value-based education in all disciplines, envisions itself as a fountainhead of innovative human enterprise, with inspirational initiatives for Academic Excellence"